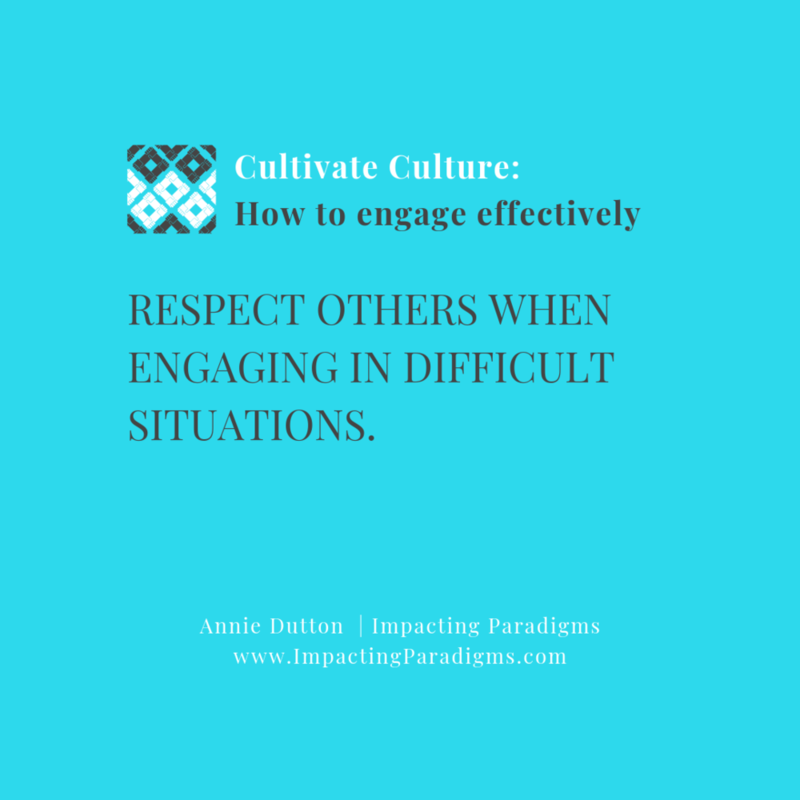 Impacting Paradigms Cultivate Culture: Respect others in difficult situations. Cultivate Culture: Respect others in difficult situations. Hold others in regard and respect their viewpoints. Even when we don’t agree. This encourages growth. It challenges the status quo and can help build solutions that we would not have seen opportunity for otherwise.